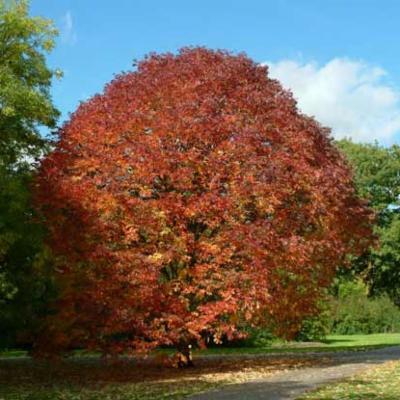 Fraxinus americana is a rapidly growing tree suited to parkland plantings, where cultivars selected for yellow, orange or bronze autumn colour are highly valued. White ash is a rapidly growing timber tree native to eastern North America. Its shock-resistant timber is used for tool handles and baseball bats. The timber has readily marketable qualities - it is hard, heavy, and shock-resistant and used extensively for tool handles, baseball bats, furniture and also as fuel wood. Native Americans used different parts of the plant for a variety of medicinal purposes including relief from insect bites, cure for fevers, an aphrodisiac, and appetite stimulant. The tree supports a wide variety of wildlife in its native North America, and the tendency of the trunk to form cavities makes it ideal for woodpecker nesting holes. Larger cavities may be used by owls, wood duck, nuthatches or grey squirrels. 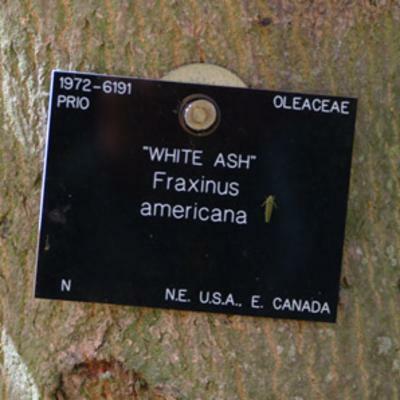 White ash is native to eastern North America, ranging from eastern Minnesota, southern Ontario, Quebec and Nova Scotia, south to Texas and northern Florida. Fraxinus americana is a fine timber tree up to about 30 m in height, with a long, straight trunk and a rounded crown at maturity. The bark is dark grey with a uniform diamond-shaped ridge and furrow pattern. The leaves are deciduous, dropping in the autumn. They occur in opposite pairs, each leaf divided into seven or nine (rarely five) leaflets. The leaflets are dark green above and usually appear white beneath due to a waxy coating. The green or purplish flowers are minute and occur in clusters near the tips of the branches. Male and female flowers are borne on different trees. The fruits are winged, 2.5-5 cm long and pendant (hang) in clusters. The emerald ash borer ( Agrilus planipennis ), a beetle native to Asia, is a serious threat to Fraxinus species in North America. It is thought to have been introduced to North America in wooden packing material and in 2002 was identified as the cause of the decline and mortality of ash trees that had been noted in the Detroit (Michigan) metropolitan area. It has since caused extensive damage to ash trees in the USA and Canada, killing an estimated 30 million trees. It has now been discovered in the region of Moscow and there is concern it could spread to the rest of Europe, leading to further economic and ecological damage. Much work is hence being carried out to prevent the spread of this beetle to protect ash trees. White ash (also known as American ash or American white ash in the timber trade) is one of the most valuable timber trees of North America. It is used for making furniture, flooring and tool handles. Its most famous use is for making baseball bats, hockey sticks and tennis racquets. Native American Indians used the wood to make spears and the bark to make canoes. Traditionally, decoctions of the bark were used to treat a wide variety of complaints, including digestive system disorders and skin diseases. The roots were used as a poultice to treat snakebites, whereas juice from the leaves was used to treat mosquito bites. Settlers arriving from Europe continued to harvest white ash from the wild for medicinal uses. Even as late as the 1960s it was being harvested on a considerable scale, helping to supplement rural incomes in regions such as the Appalachian Mountains. 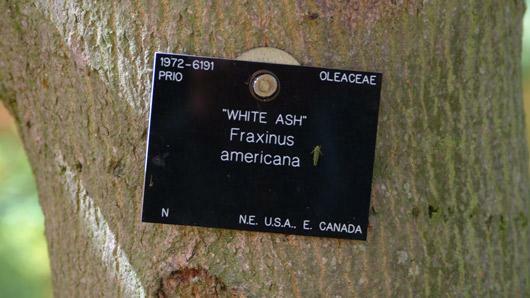 White ash is planted as an ornamental tree in parks and large gardens. 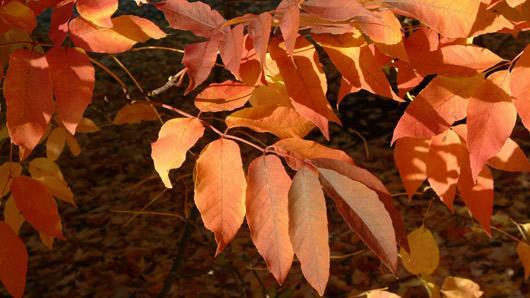 Cultivars such as Fraxinus americana 'Autumn Purple' provide a variety of autumn leaf colours. 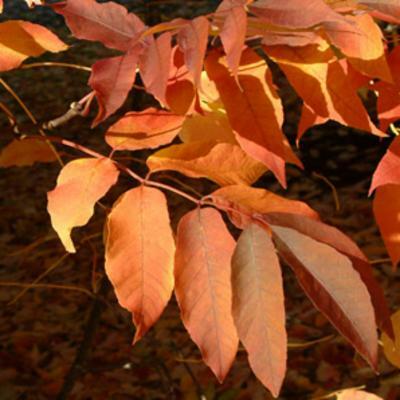 Fraxinus americana is able to colonise soils with high concentrations of heavy metals, making it suitable for reclaiming mine sites in North America. Stored seeds of Fraxinus americana behave in an orthodox manner (meaning the seeds will survive the drying and freezing process), and 70 collections are held in Kew's Millennium Seed Bank based at Wakehurst in West Sussex. White ash is a rapidly-growing timber tree suitable for planting in parklands and plantations. 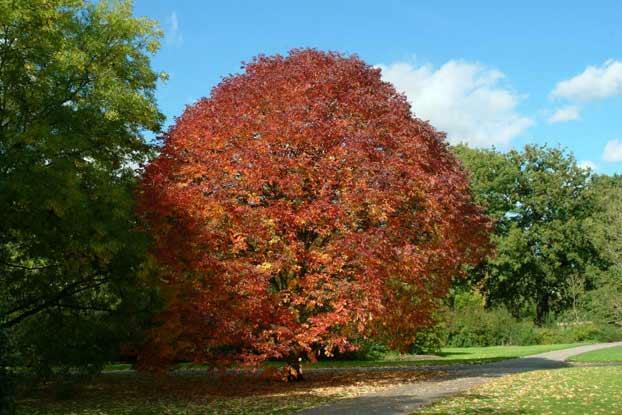 It was introduced to the UK in 1724, where it has the advantage of surviving both drier and frostier conditions than Britain's native ash ( Fraxinus excelsior ). White ash can be seen growing to the north-west of the Palm House at Kew. 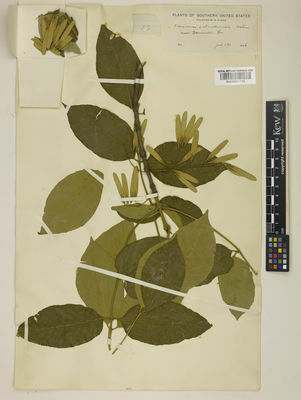 Pressed and dried specimens of Fraxinus americana are held in Kew's Herbarium where they are available to researchers by appointment. Specimens of the wood, bark, root and fruits of white ash, as well as baskets and a billiard cue made from it, are held in Kew's Economic Botany Collection in the Sir Joseph Banks Building, where they are available to researchers by appointment. Timber, timber products, fuelwood, ornamental, medicinal. Fraxinus americana var. ascidiata Meun. Fraxinus americana var. curtissii (Vasey) Sudw. Fraxinus americana var. epiptera (Michx.) Wesm. Fraxinus americana var. longifolia (Vahl) Wesm. Fraxinus americana subsp. novae-angliae (Mill.) Wesm. Fraxinus americana var. subcoriacea Sarg. Fraxinus americana subsp. typicum Wesm. Fraxinus biltmoreana var. subcoriacea (Sarg.) J.J.N.Campb. Fraxinus nigra var. juglandifolia (Lam.) Castigl. Fraxinus pistaciifolia E.Hall ex A.Gray. CAB International (2012). Invasive Species Compendium (Agrilus planipennis). CAB International, Wallingford, UK. Moerman, D. E. (2009). Native American Medicinal Plants: an Ethnobotanical Dictionary. Timber Press, Portland, Oregon. Wallander, E. (2008). Systematics of Fraxinus (Oleaceae) and evolution of dioecy. Plant Systematics and Evolution 273: 25–49. Gibson, D. J. (1982). The natural revegetation of lead/zinc mine spoil in northeastern Oklahoma. The Southwestern Naturalist 27: 425-436. Bean, W. J. (1981). Trees & Shrubs Hardy in the British Isles, 8th ed., Vol. 2 (D-M). John Murray, London. Krochmal, A. (1968). Medicinal plants and Appalachia. Economic Botany 22: 333-337.